The article proves the relevance and topicality of creating a computer-oriented learning environment at a higher education institution. The problems of modern scientific researches dealing with the peculiarities of computer-oriented learning environment at the higher education institutions to develop the pedagogical interaction have been studied, as well as determined the main research areas and trends of this scientific issue. Some pedagogical conditions, including the creativity of teacher pedagogical activity; information competence of education process participants; pedagogical monitoring for the quality of professional specialist training; arranging the socio-psychological comfort for educational activities are considered essential to increase the effective pedagogical interaction among the educational process participants in a computer-centered educational environment of the higher education institutions. The results of modelling pedagogical experiment reveal the potential ways of implementing the examined pedagogical and educational conditions in the process of educational and professional communication. The peculiarities for developing the educational and methodical complex of academic course and training material are determined. The attention is focused on the possibilities for computer monitoring the student knowledge using software MyTestX. The study allows determining some efficiency criteria such as motivating, cognitive, and cooperative criteria required for the effective pedagogical interaction among education process participants in the computer-oriented learning environment at the higher education institutions with the corresponding high, sufficient and low levels of effectiveness within pedagogical interaction, as well as their relevant indicators. Methods for diagnosing the level of pedagogical interaction of education process participants under the conditions of a computer-oriented learning environment are analysed and chosen. The results of the pedagogical experiment confirming the effectiveness of the suggested pedagogical conditions to improve the effective arrangement of pedagogical interaction among education process participants in the computer-oriented learning environment of higher education institutions are presented. В. Ю. Биков, Моделі організаційних систем відкритої освіти. Київ, Україна: Атіка, 2008. Л. З. Давлеткиреева, Информационно-предметная среда в процессе профессиональной поготовки будущих специалистов в университете. Магнитогорск, Россия: МаГУ, 2008. К. Р. Колос, "Дидактичні вимоги до комп’ютерно орієнтованого навчального середовища закладу післядипломної педагогічної освіти", Інформаційні технології і засоби навчання, т. 33, вип. 3, с. 11-21, 2013. [Електронний ресурс]. Режим доступу: http://nbuv.gov.ua/UJRN/ITZN_2013_35_3_4. Дата звернення: 11.01.2018. В. В. Осадчий, Система інформаційно-технологічного забезпечення професійної підготовки майбутніх учителів в умовах педагогічного університету С. Сисоєва. Ред. Мелітополь, Україна: ММД, 2012. Л. Ф. Панченко, Інформаційно-освітнє середовище сучасного університету Луганськ, Україна: ЛНУ, 2010. М. М. Заброцький, "Педагогічна взаємодія: екологічний вимір", Актуальні проблеми психології. Екологічна психологія, т. 7, вип. 9, с. 77-84, 2006. Г. А. Ковалев, "Диалог как форма психологического взаимодействия", Общение и диалог в практике обучения, воспитания и психологической консультации, А. Бодалев. Ред. Москва, Россия: Просвещение, 1987, с. 18-26. М. К. Подберезський,, Вісн. Дніпропетровського ун-ту ім. А. Нобеля, сер. педагогіка і психологія, № 2, с. 31-36, 2011. Л. Є. Петухова, "Розширення можливостей навчального процесу в умовах інформаційно-комунікаційного педагогічного середовища", Інформаційні технології в освіті, № 6, с. 32-37, 2010. О. В. Співаковський, Л. Є. Петухова, Н. А. Воропай, "До оцінювання взаємодії у моделі «Викладач–студент–середовище", Наука і освіта, № 4, с. 401-405, 2011. N. Wagner, K. Hassanein, M. Head, "Who is responsiblefor E-Learning Success in Higher Education? A Stakeholders' Analysis", Educational Technology & Society, no. 11(3), рp. 26-36, 2008. William G. Bowen et al. "Online learning in Higher Education", Education Next Spring, Vol. 13, no. 2, 2013. [Електронний ресурс]. Режим доступу: www.educationnext.org/online-learning-in-higher-education. Дата звернення: 11.01.2018. Robert W. Mendenhall. "How Technology Can Improve Online Learning – and Learning in General", Chronicle of Higher Education, November 6, 2011 [Електронний ресурс]. Режим доступу: https://www.chronicle.com/article/How-Technology-Can-Improve/129616. Дата звернення: 11.01.2018. D. R. Garrison, T. Anderson, W. Archer, "Theory of Critical Inquiry in Online Distance Education", in Handbook of distance education, M. G. Moore and W. G. Anderson. London, UK: Lawrence Erlbaum Associates, 2003, рp. 113-127. K. Finder, D. Raleigh, "Establishing a Framework Useful for Developing Web-Based Assignments in K 12 Education", Proceedings of Society for Information Technology & Teacher Education International Conference. Washington, USA: Association for the Advancement of Computing in Education, рp. 159-162, 1998. Л. В. Моторна, "Педагогічні умови застосування освітніх технологій в процесі викладання природничонаукових дисциплін у технічних коледжах" на ІХ Міжнар. наук.-практ. конф. Гуманізм та освіта, Вінниця, 2008. [Електронний ресурс]. Режим доступу: http://conf.vntu.edu.ua/humed/2008 /txt/Motorna.php. Дата звернення: 11.01.2018. В. П. Струманський, "Концептуально-структурний зміст виховання і виховної роботи в прогностичних проекціях української наукової педагогіки", Педагогіка і психологія, № 2 (3), с. 124-127, 1994. О. М. Касьянова, Т. Б. Волобуєва, "Моніторинг в управлінні навчальним закладом», «Управлінський супровід моніторингу якості освіти", Управління школою, вип. 1 (13). Харьків, Україна: Основа, 2004. Т. Равчина, "Організація взаємодії студентів з освітнім середовищем у вищій школі", Вісн. Львів. ун-ту, cер. педагогіка, вип. 19., ч. 2, с. 3-16, 2005. Т. Б. Поясок, Система застосування інформаційних технологій у професійній підготовці майбутніх економістів, С. О. Сисоєва. Ред. Кременчук, Україна: ПП Щербатих О. В., 2009. Л. П. Максимова, "Педагогічні умови функціонування інформаційно-навчального середовища вищого навчального закладу економічного профілю» " Неперервна професійна освіта: теорія і практика, вип. 2, с. 69-74, 2013. V. Bykov, Models of the organizational systems of open education : monograph. Kiev, Ukraine: Аtіkа, 2008 (in Ukrainian). L. Davletkireeva, The information-subject environment of CE in the process of professional training of future specialists in the University : monograph. Magnitogorsk, Russian Federation: MsU, 2008 (in Russian). K. Kolos, “Didactic Requirements for a Computer-Oriented Educational Environment of Postgraduate Pedagogical Education”, Information Technologies and Learning Tools, no. 3 (35), 2013. [Online]. Available: http://journal.iitta.gov.ua/index.php/itlt/article/view/834/619 Accessed on: 11.01.2018. (in Ukrainian). V. Osadchiy, System information technology services professional training of future teachers in the conditions of pedagogical University : monograph, Melitopol, Ukraine: Bud. MMD, 2012 (in Ukrainian). L. Panchenko, Information educational environment of a modern University : monograph, Lugansk, Ukraine: Publ. SE "LNU named after Taras Shevchenko", 2010 (in Ukrainian). M. Zabrocki, “Pedagogical interaction: the environmental dimension”, Actual problems of psychology. Environmental psychology : Coll. Sciences. papers of the Institute of psychology. G. S. Kostyuk NAPs of Ukraine, vol. 7, no. 9, pp. 77-84, 2006 (in Ukrainian). G. Kovalev, “Dialogue as a form of psychological interaction”, The Communication and dialogue in the practice of teaching, upbringing and psychological counseling, Moscow, USSR: Education, 1987, pp. 18-26 (in Russian). M. Podberezskiy, “Characteristic features of the pedagogical interaction”, Visnyk UN-Tu im. Alfred Nobel. Series "Pedagogics and psychology", no. 2, pp. 31-36, 2011 (in Ukrainian). L. Petukhova, “The empowerment of the educational process in the information and communication pedagogical environment”, in Collection of scientific papers "Information technologies in education" of Kherson state University, no. 6, pp. 32-37, 2010 (in Ukrainian). 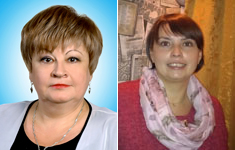 A. Spivakovsky, L. Petukhova, N. Voropay, "To the evaluation of the interaction in the model of "Teacher – student – environment", Science and education, no. 4/C, pp. 401-405, 2011 (in Ukrainian). N. Wagner, K. Hassanein, M. Head, “Who is responsible for E-Learning Success in Higher Education? A Stakeholders' Analysis”, Educational Technology & Society, no. 11(3), pp. 26-36, 2008 (in English). W. Bowen, M. Chingos, K. Lackand, T. Nygren, “On line learning in Higher Education”, Education Next Spring, vol. 13, no. 2, 2013. [Online]. Available: www.educationnext.org/online-learning-in-higher-education. Accessed on: 11.01.2018. (in English). R. Mendenhall, “How Technology Can Improve Online Learning – and Learningin General”, in Chronicle of Higher Education, 2011. [Online]. Available: https://www.chronicle.com/article/How-Technology-Can-Improve/129616. Accessed on: 11.01.2018. (in English). D. Garrison, T. Anderson, W. Archer, “The ory of Critical Inquiry in On line Distance Education”, Handbook of distance education, London, Britain: Lawrence Erlbaum Associates, pp. 113-127, 2003 (in English). K. Finder, “Establishing a Framework Usefulfo rDeveloping Web-Based Assignments in K 12 Education”, in Proceedings of Society for Information Technology & Teacher Education International Conference. – Washington : Association for the Advancement of Computingin Education, pp. 159-162, 1998 (in English). L. Motorna, “Pedagogical conditions of application of educational technology in the teaching of natural Sciences in technical colleges”, in Humanism and education : materials of IX International scientific-practical conference, Vinnitsa, 2008. [Online]. Available: http://conf.vntu.edu.ua/humed/2008 /txt/Motorna.php. Accessed on: 11.01.2018. (in Ukrainian). V. Struminskij, "Conceptual and structural content of education and educational work in predictive projections Ukrainian scientific pedagogy", Pedagogy and psychology, no. 2(3), pp. 124-127, 1994 (in Ukrainian). O. Kasjanova, T. Volobujeva, “Monitoring in the management of the school”, in Management support of quality monitoring of education, Kharkov, Ukraine: Framework, 2004, pp. 96 (in Ukrainian). T. Ravchina, "Organization of interaction of students with the educational environment in higher education", Bulletin of Lviv University of pedagogy, vol. 19, part 2, pp. 3-16, 2005 (in Ukrainian). T. Poyasok, System use of information technologies in professional training of future economists : monograph, Kremenchug, Ukraine: PE Shcherbatykh A.V., 2009 (in Ukrainian). L. Maksymova, “Pedagogical conditions of functioning of information-educational environment of the higher educational institutions of economic profile”, Lifelong education: theory and practice : scientific-methodical journal, Kiev, Ukraine: The Edelweiss, no. 2, pp. 69-74, 2013 (in Ukrainian).